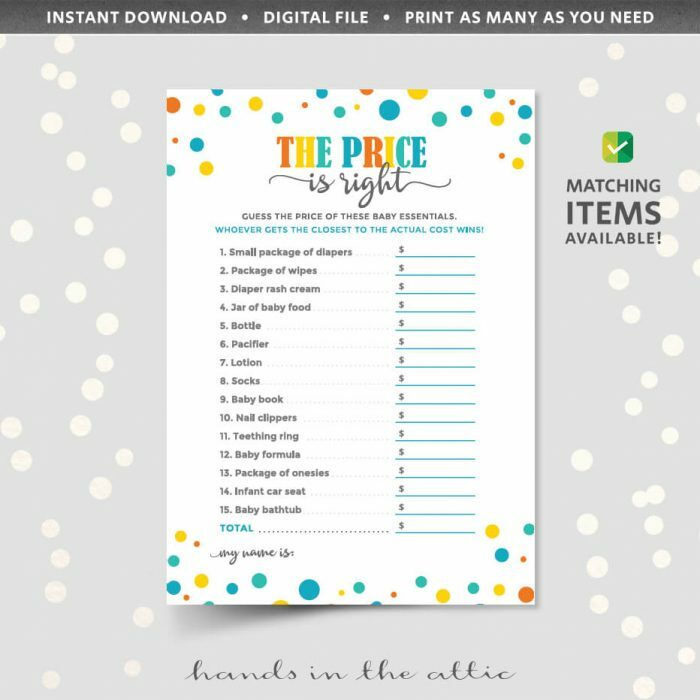 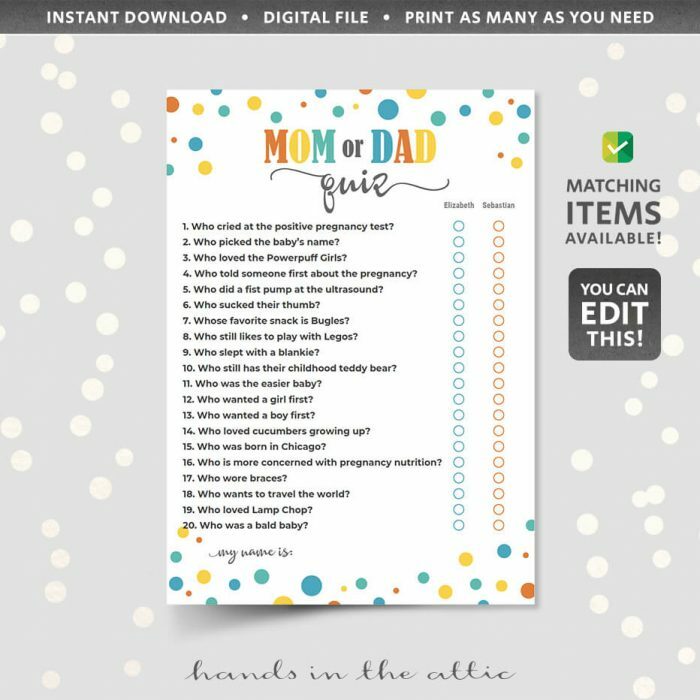 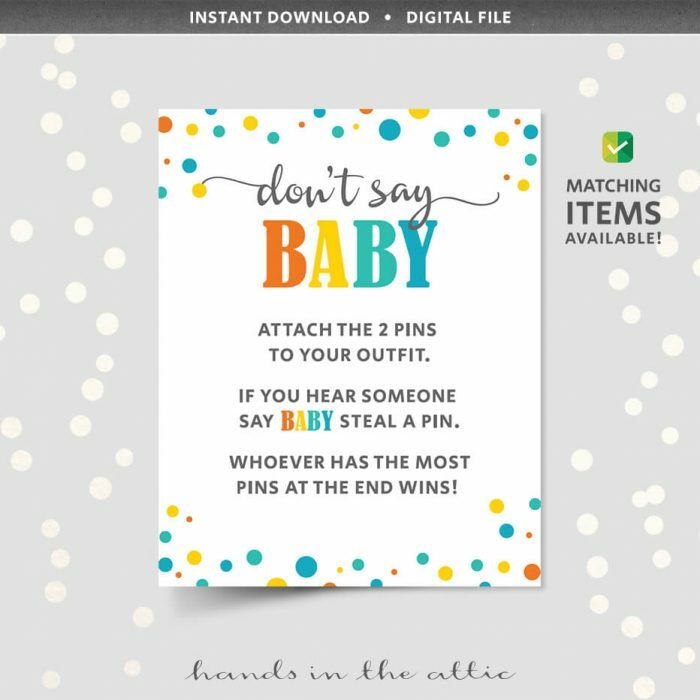 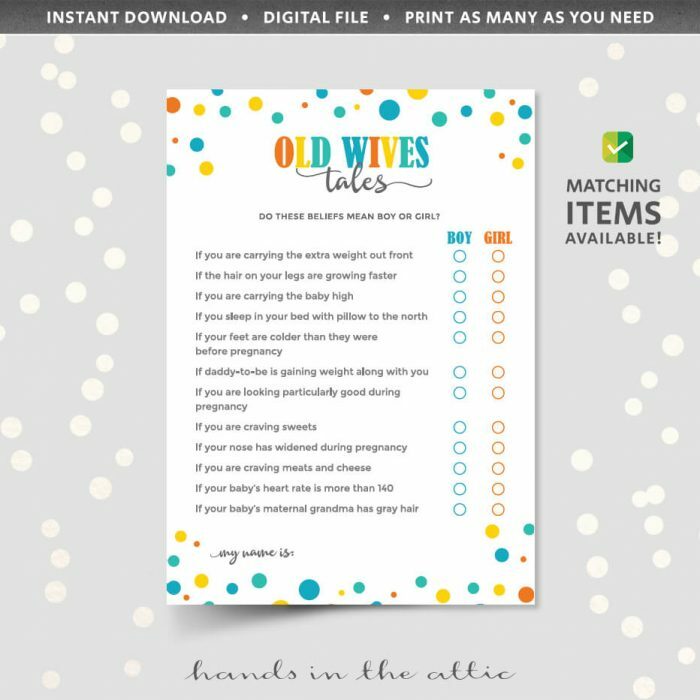 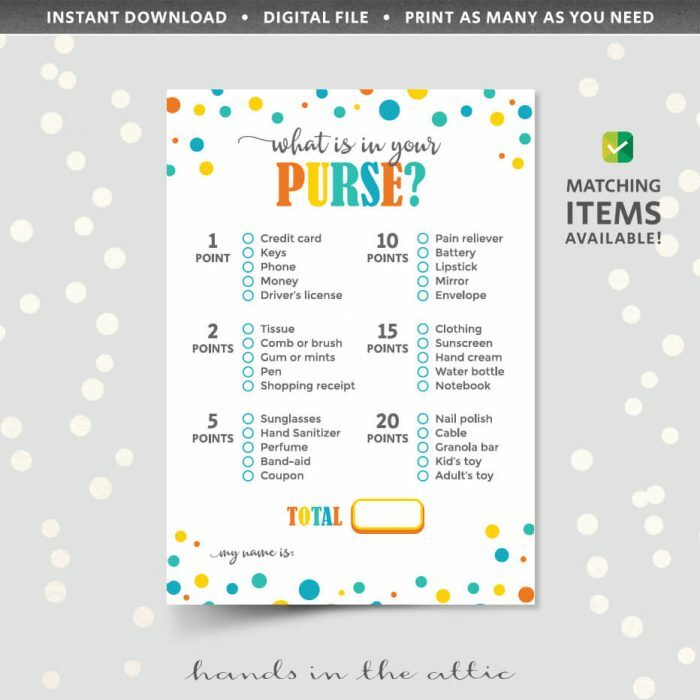 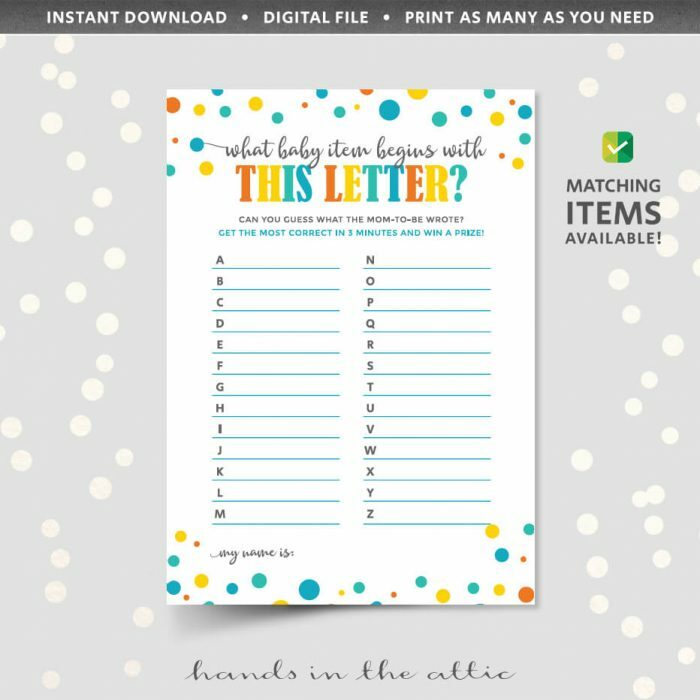 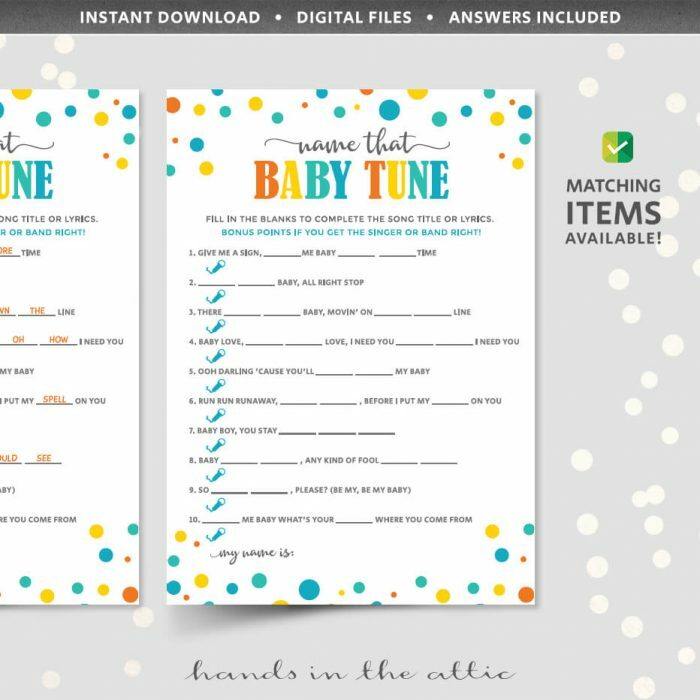 Name That Baby Tune is a printable baby shower game for players to guess or complete the song lyrics with the aid of prompts. The game has 10 lines of song lyrics or titles, and also space to fill in the singer or band name. 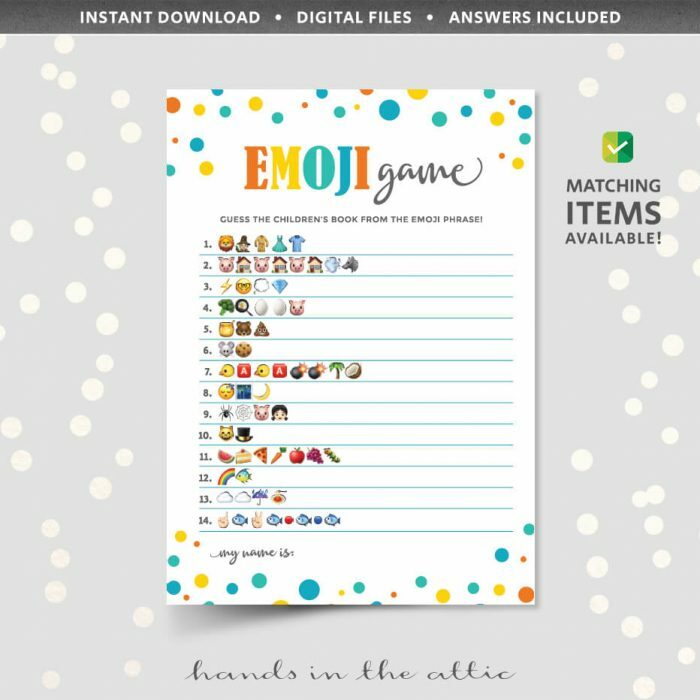 Answers are provided. 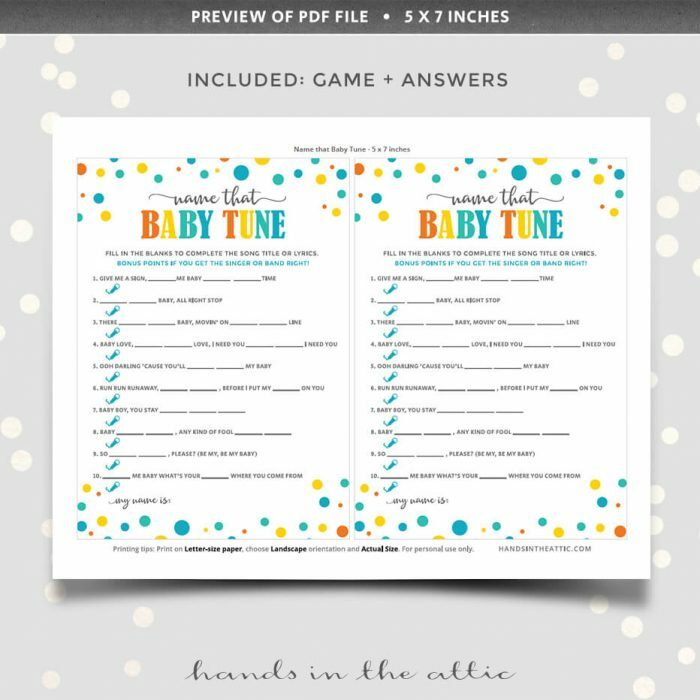 Included in the list are songs by popular artistes such as Mariah Carey, Beyonce, Bruno Mars, etc. You can remind players not to use Google to find the answers, or allow it anyway and the fastest searcher wins!